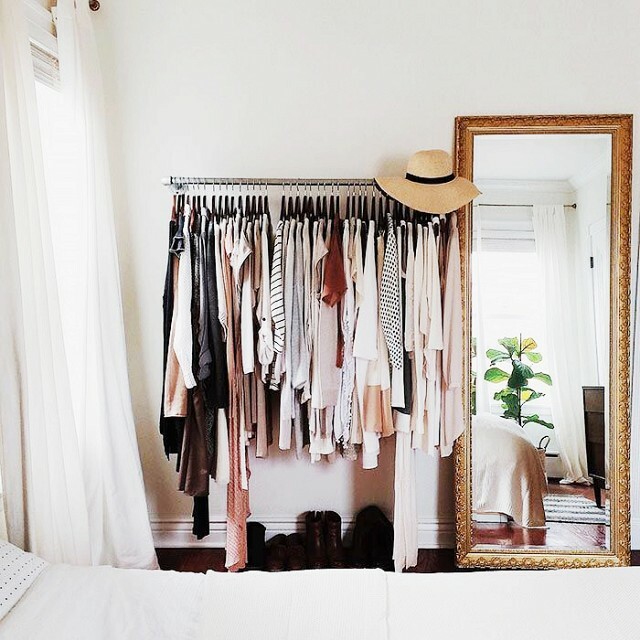 A great start to any organised wardrobe is to throw out any items that have been lingering in the back end of your closet for way too long. Its also a great excuse to buy new things right?!? I usually find if I haven’t worn it in the last 6 months, I probably never will! Colour co-ordinating is definitely a must! Not only does it make finding things so much easier, It will also give you a good feel of what colours you have too much of and what colours you may need to keep in mind next time you hit the shops. As much as we’d all love to have Carry Bradshaw’s famous walk-in wardrobe, sometimes our budget or living arrangement doesn’t allow for such extravagant and permanent structures. Free standing racks are so easy to pick up and don’t break the bank. The freedom to choose your own colour and style is great too! Plus endless wardrobe styling possibilities with the flexibility of movement. Keep you coat hangers the same style and same colour. Use thinner coat hangers for smaller spaces to fit more in. 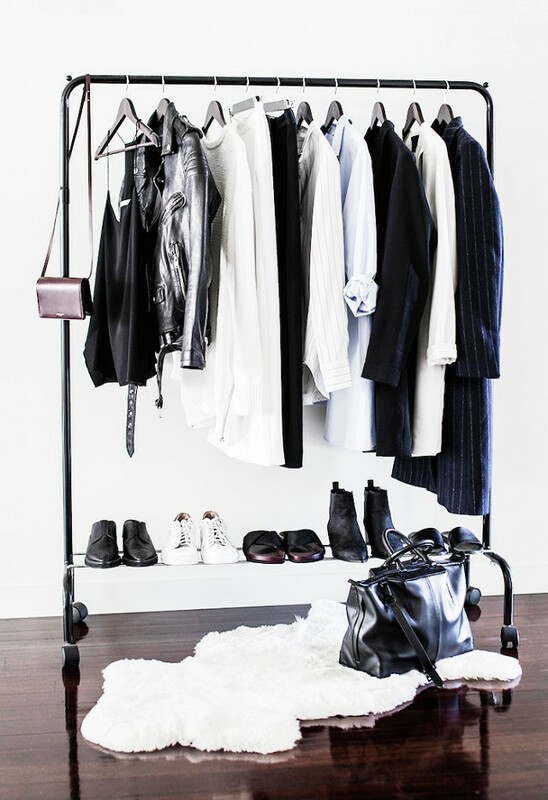 Timber coat hangers look great but are quite bulky so make sure you have a lot of room or not so many clothes (ahhh who doesn’t have lots of clothes) when going for timber hangers. 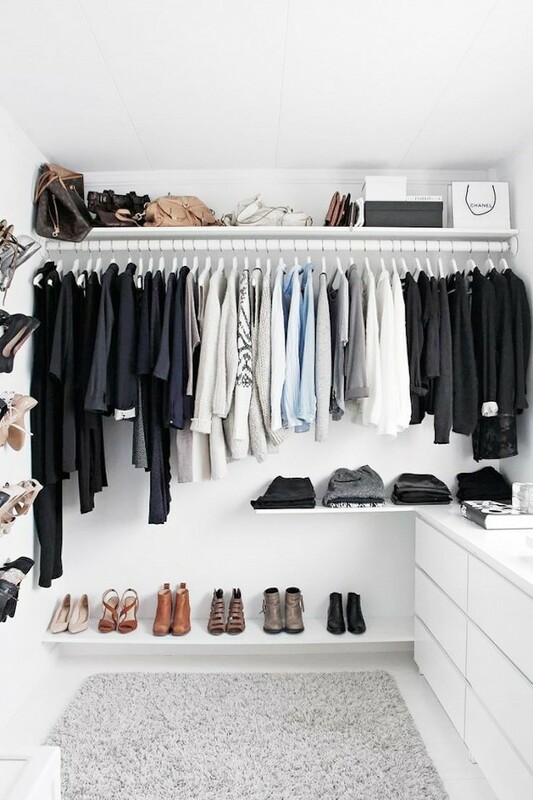 Storage displays for your shoes and accessories can really make or break your wardrobe design. 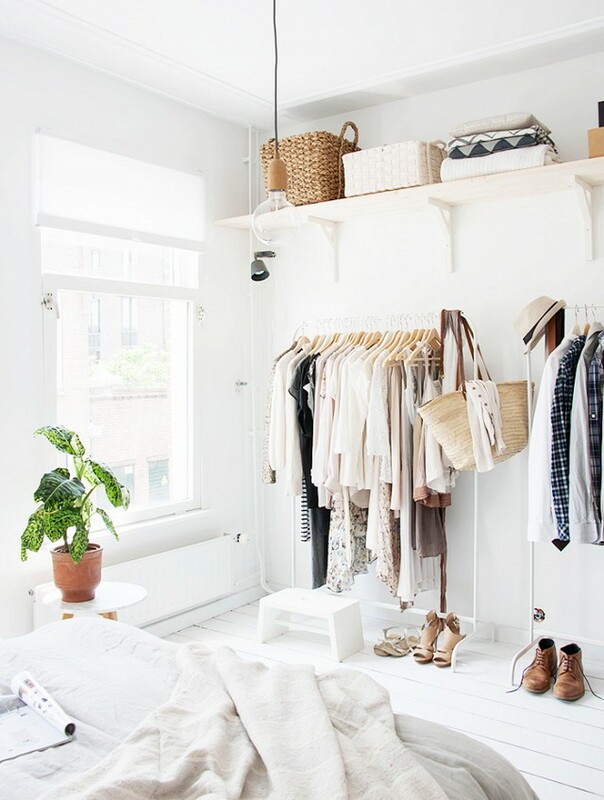 A simple shoe rack for underneath your hanging clothing always does wonders. Cane boxes for folded items like your winter woolies are a simple stylish way to get organised. If your able, install some basic shelves, line your shoes and bags up, add a few storage boxes with your folded goodies and neatly display your jewels on the open shelves. Some plants for decor, perfect! Your clothes help you express your personal style so its important their sanctuary reflects you as well. From the colour of your racks to the rug underneath make sure it breathes you! 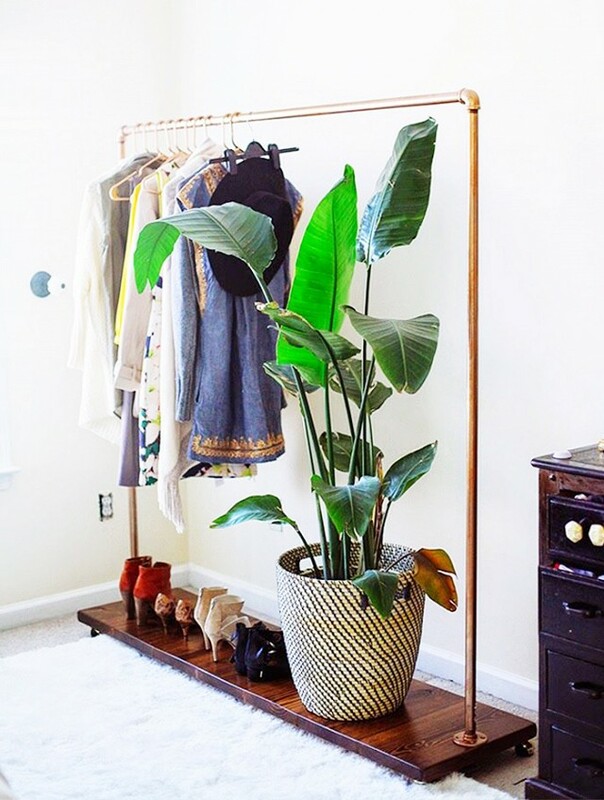 For the boho ladies, use plants and antique framed mirrors to add character. Ladies who like things a little more minimal, style with black and whites, a thin black framed mirror and a rounded stool with your fav pair of black stilettos on top. 28 Feb	This entry was published on February 28, 2016 at 1:18 am. It’s filed under FASHION, Uncategorized and tagged BLOG, carriebradshaw, FASHION, organised, STYLE, TWICESHY, wardrobe. Bookmark the permalink. Follow any comments here with the RSS feed for this post. We are glad you like it! !